Ref: In continuation of this office circular No. 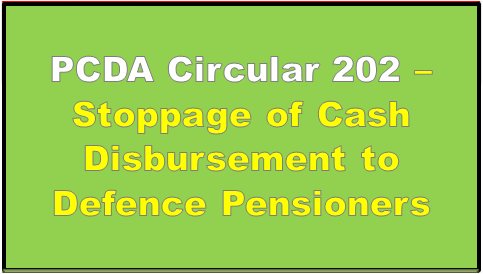 198 dated 30.01.2018 bearing even file No..
All Pension Disbursing Authorities were advised under above cited circular to suggest their defence pensioner who are receiving defence pension in cash from them, to open bank account in authorized banks and payment of defence pension be credited to that account only. 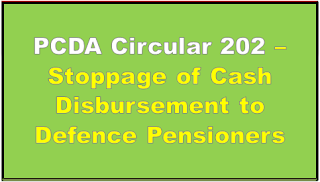 It is further stated that all rules allowing cash disbursement would stand amended to the same extent.